SUNROOF!! NAVIGATION!! REAR DUAL SCREEN DVD/BLU RAY!! MAX TRAILER TOW!! 2ND ROW BENCH SEAT!! Check out this Suburban LOADED with the Following Features! Power Driver Seat, Power Passenger Seat, Driver Information Center, Automatic Headlamps, Daytime Running Lamps, Fog Lamps, Tilt and Telescoping Steering Wheel, Leather Wrapped Steering Wheel, Steering Wheel Mounted Audio Controls, Color Touchscreen Radio, Bluetooth, USB Port, Audio Jack, Back Up Camera, Remote Start, Running Boards, Automatic Climate Control, Tri Zone Climate Controls, Power Adjustable Pedals, Trailer Brake Controller, Power Liftgate, Rear Park Alert, Bose Premium Sound System, Power Windows, Power Locks, Power Mirrors, Keyless Entry, and Much More! You Always Get More From Les! Command your day with the full-size comfort and capability of our 2017 Chevrolet Suburban LT 4WD. Powered by a confident 5.3 Liter V8 that offers 355hp while connected to a 6 Speed Automatic transmission that helps with easy passing and towing. This Four Wheel Drive yields near 22 mpg on the highway with swift acceleration and the power to tow. You'll also appreciate the Premium Smooth Ride Suspension Package for the ultimate in comfort. Our LT meets your needs and exceeds your expectations with its powerful presence that's complemented by alloy wheels, sunroof, a power lift-gate, assist steps, and active grille shutters. With plenty of room for your active family, the interior features leather seating, heated front seats, fold flat second and third-row seats, tri-zone automatic climate control, and remote vehicle start. Take your information along for the ride courtesy of Chevrolet MyLink with a central touchscreen, Bose audio, Bluetooth, Apple CarPlay/Android Auto capability, an available WiFi hotspot, DVD Entertainment, and available satellite radio. Your safety is the top priority, so our SUV has been carefully crafted with advanced airbags, lane keep assist, forward collision alert, traction/stability control, trailer sway control, rear parking assist, a rear camera, teen driver mode, and even a reminder to look in the backseat for children! 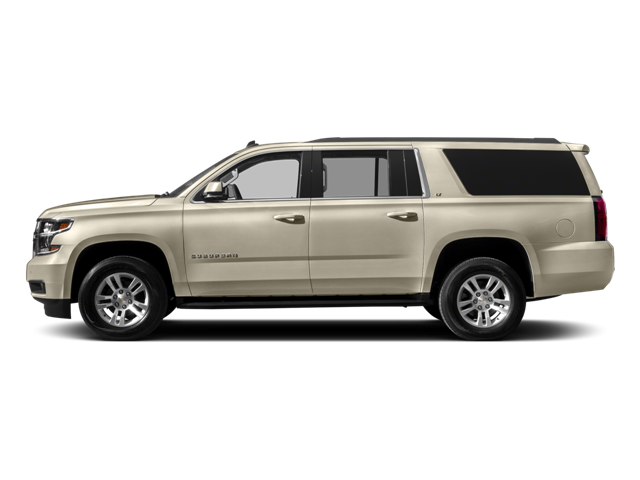 More than adept at accommodating your family and friends with comfort and reliability, our Suburban is a smart choice. Print this page and call us Now... We Know You Will Enjoy Your Test Drive Towards Ownership! Hello, I would like more information about the 2017 Chevrolet Suburban, stock# 15622. Hello, I would like to see more pictures of the 2017 Chevrolet Suburban, stock# 15622.